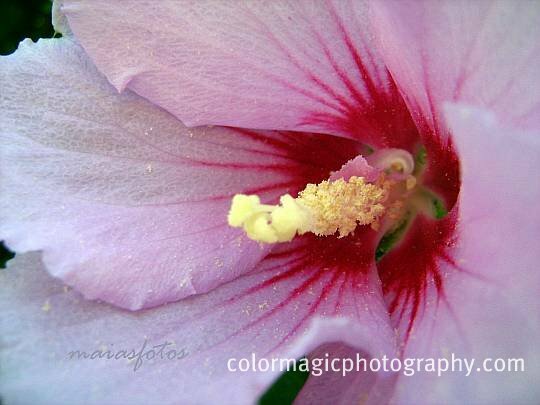 Never knew it was Rose of Sharon, but those are incredible close-ups. Love the detail. You brought back wonderful memories with your beautiful Rose of Sharon photos!! We had these in our yard when i was growing up - I have always loved them! It looks very similar to the Hibiscus....so pretty! 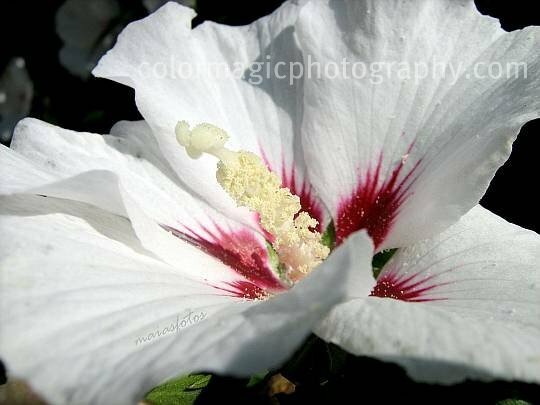 Beautiful shots of the Rose of Sharon, they are a magnificent flower. I would like to have some in my garden but I know how difficult it is to keep them confined to one area. 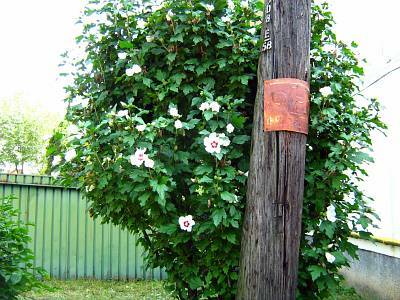 I do love the Rose of Sharon blooms. They are beautiful! Thanks for featuring this plant. I always wanted to know what it looks like. Pretty! Magnificent shots and slide shows!!! Breathtaking -- brava!! Thanks, Maia. I always appreciate heads up from other gardeners about invasive but pretty plants. Lovely photos, as always. 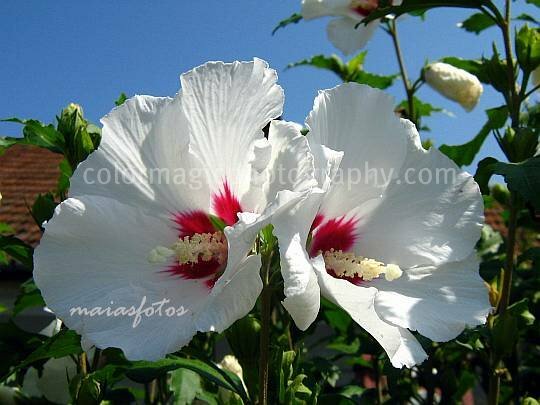 I refer to it as Gumamela or Hibiscus. Now I know its other name ;-) And yes, it is very prolific! I'm used to seeing the red version. This one is stunning! Never found any in twenty years. My pink hibiscus is ffeeling my neglect, the flowers are not well formed. This rose of sharom is just gorgeous.